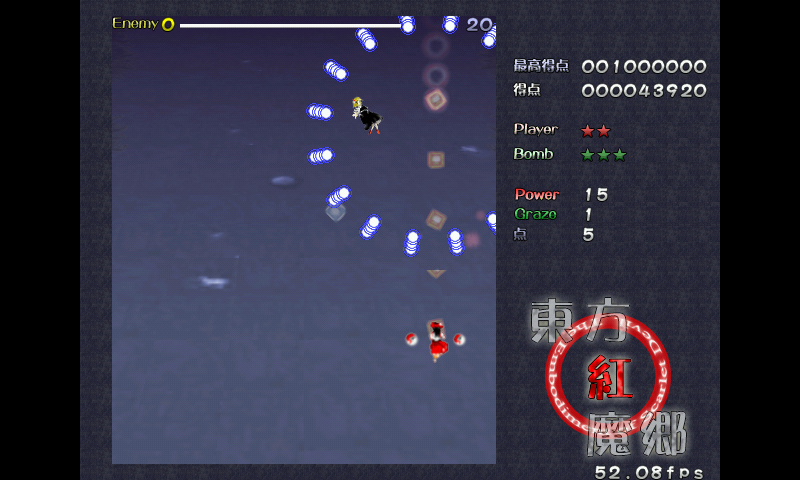 Libre reimplementation of the Touhou 6 engine. You need original game files (demo is okay too) for EoSD. Put font.ttf in your game directory, if you want text. On non 1ghz units, --no-background option is by default checked. You can turn this off in the fancy zenity launcher. - And maybe some other stuff. Force SDL2 to grab keys to avoid conflicts with WM keybindings. I will update this when my pandora is fixed. There should be some performance improvements. @mmKALLL, difficulty, character, mode is chosen in launcher yes. On 1Ghz the game is smooth with occasional slowdowns. Lunatic mode being the worst offender. 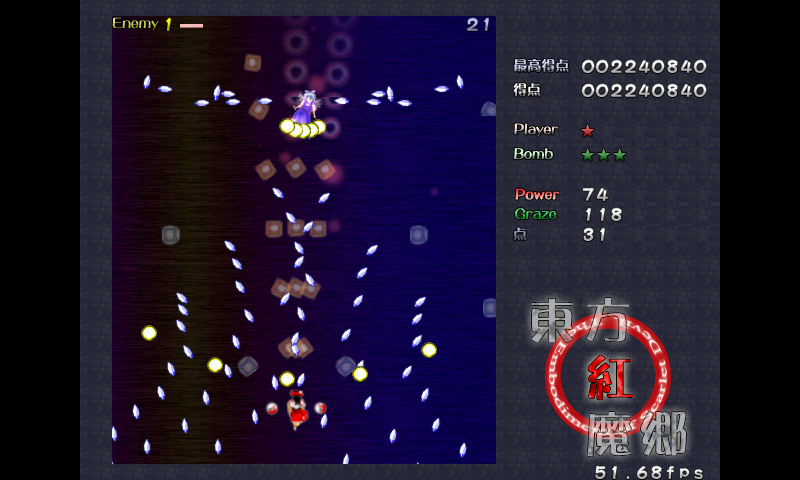 PyTouhou is still young though, and improvements will most likely come. And later maybe even Pandora specific rendering path. W-wow!! This seems amazing! I'm looking forward to updates with excitement! Does it run smoothly through the whole game? No main menu - does this mean that difficulty/character is chosen in the launcher, or..?